Thank you for your interest in one of Schworer Volkswagen's online offerings. 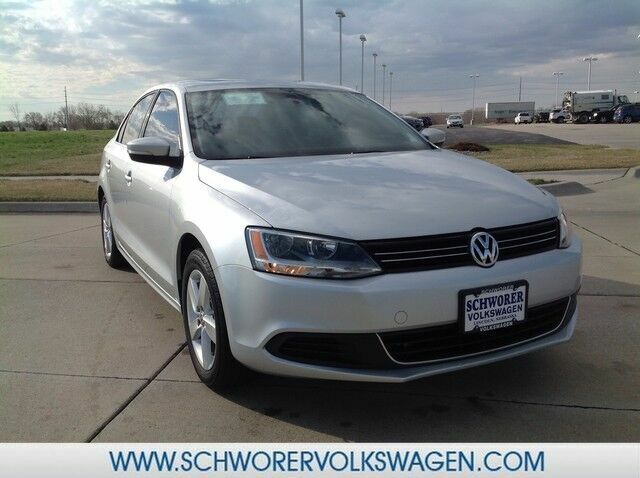 Please continue for more information regarding this 2013 Volkswagen Jetta Sedan TDI w/Premium with 52,195mi. The greater your fuel-efficiency, the less your carbon footprint. And with exceptional MPGs, this Volkswagen Jetta Sedan treads ever so lightly on Mother . The Jetta Sedan TDI w/Premium is well maintained and has just 52,195mi. This low amount of miles makes this vehicle incomparable to the competition. Based on the superb condition of this vehicle, along with the options and color, this Volkswagen Jetta Sedan TDI w/Premium is sure to sell fast.